As we begin to read Jude v5-9, we remember that Jude introduced his letter to Christians, warning them about False Teachers, who once professed to be believers. Jude announces that they have crept into the church and are teaching false teachings. 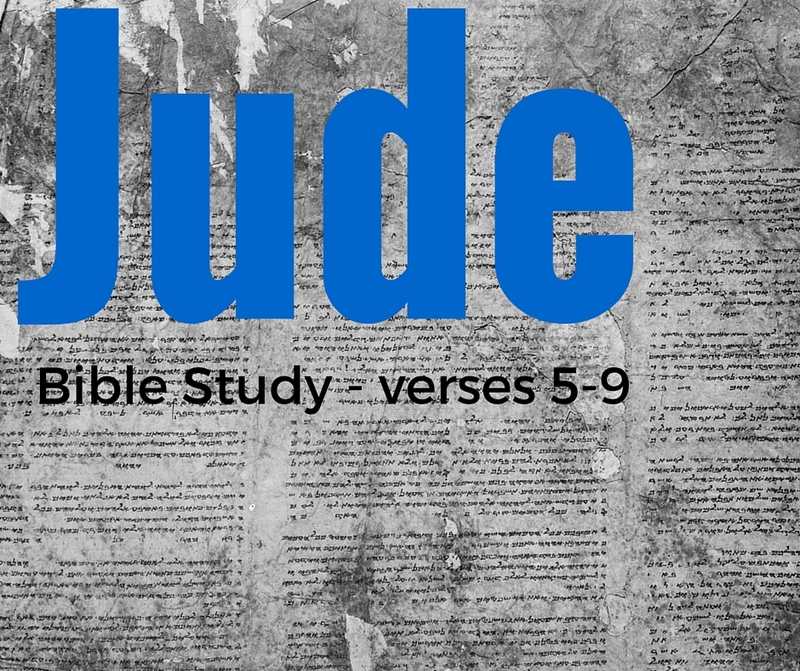 Follow along with me now as we read Jude verses 5-7. [b] serve as an example by undergoing a punishment of eternal fire. What are some examples of Judgement you can recall found in the Old Testament? What is the main point of Jude 5-7? Jude is reminding his readers that they have heard this before. It isn’t any new idea that he is presenting. Now that Jude is being enlightened by the Holy Spirit, he now better understands the scripture and it’s context. Now he wants to explain it’s meaning. Remember, Jesus promised the Apostles a helper (the Holy Spirit) after he left them that he would reveal all things. See Luke 12:12 as an example. Also, 2 Corinthians 2:9-10 is another example of the Holy Spirit teaching and revealing to us. There are many other scriptures to reference but these should serve as examples. What do you notice that is different here? Why is Jude talking about Egypt and the Exodus? Ultimately, those who do not believe and trust God are judged and receive what they have asked for; A life without God. So, the Israelites experienced God’s grace and blessings. But, we also see their disbelief and ultimate judgement. This is what Jude is trying to describe. 1 Corinthians 10:1-13 talks about those the Israelites in the wilderness in a similar light. Those who experience God’s grace but don’t fully believe and they are then judged and cast out. 10 For I do not want you to be unaware, brothers, that our fathers were all under the cloud, and all passed through the sea, and all were baptized into Moses in the cloud and in the sea, and all ate the same spiritual food, and all drank the same spiritual drink. For they drank from the spiritual Rock that followed them, and the Rock was Christ. Nevertheless, with most of them God was not pleased, for they were overthrown in the wilderness. What was the Angels proper position of authority? To remain in the presence of God worshiping & serving the Lord. The second example are the fallen angels who left their proper place (worshiping and serving God in his presence). Because of their rebellion & disbelief, God has placed these angels in chains right now as they await their judgment on that great day. Where did the Angels go when they left their own position of authority? One belief is they came to earth and populated (possessed) people and their evil was great. Read Genesis 6:1-8 below to learn more about this. V7. just as Sodom and Gomorrah and the surrounding cities, which likewise indulged in sexual immorality and pursued unnatural desire, serve as an example by undergoing a punishment of eternal fire. Why did Sodom and Gomorrah receive judgment from God and not other cities? While Other cities may have also experienced sinful behavior, The scriptures give us the impression that Sexual immorality was very prevalent. While everyone and every city deserve God’s judgment, Sodom and Gomorrah served as an example. Some historians recorded that Sodom was still smoldering from the flames of God up to 100 years before Christ. Smoke could be seen rising from the ground for years and years. 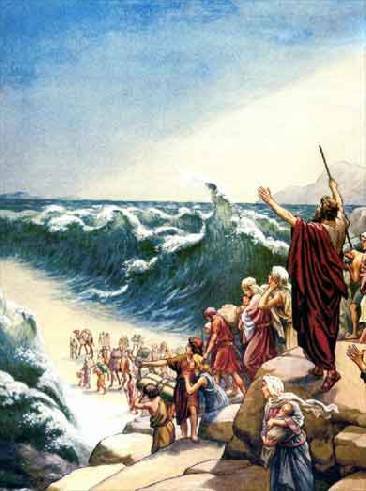 It was only 450 before Sodom & Gomorrah that God flooded the earth. People were still very familiar with that fact and still choose to live wicked lives and turn against God. 8 Yet in like manner these people also, relying on their dreams, defile the flesh, reject authority, and blaspheme the glorious ones. 9 But when the archangel Michael, contending with the devil, was disputing about the body of Moses, he did not presume to pronounce a blasphemous judgment, but said, “The Lord rebuke you.” 10 But these people blaspheme all that they do not understand, and they are destroyed by all that they, like unreasoning animals, understand instinctively. V8. “In the same way, These People”. …..Here is referring to the “certain people who crept in” in verse 4. He is saying just like the examples I gave, these will be judged by God. What are some of the ways Jude describes them here in 8-10? blaspheme the Glorious ones. – Blaspheme the glorious ones blaspheme means to insult, show contempt or lack of reverence for God OR the act of claiming to be God. They live in darkness, without light/knowledge of God. How do we get the knowledge of God? People would go to people that specialized in dreams & sorcery to find direction in their lives. Acts 8:9-25. tells us about one example (Simon the Sorcerer) He heard the gospel message, professed Jesus but never received the spirit. His motives were not right. He wanted to pay so he could get more power. We don’t read that he asked for forgiveness and changed his life. As a matter of fact, there was no evidence that his profession was fruitful at all. He never received the Holy Spirit. Simon witnessed miracles performed by the Apostles, but rather than accepting a free gift of Salvation, his motives were selfish and he wanted the power to continue to conduct his sorcery business. V9 But when the archangel Michael, contending with the devil, was disputing about the body of Moses, he did not presume to pronounce a blasphemous judgment, but said, “The Lord rebuke you”. What does the angel Michael do when he disputes with Satan? Satan (the devil) acts as an accuser. That is his nature. Michael appealed to God’s authority instead of his own. Today, when we experience spiritual battles, deal with the guilt of past sins, or other examples where of internal battles, Christians should give our struggles over to God and let Him fight & win those battles for us. Instead of relying on our own will and efforts, let God fight. This is what the head angel Michael did. 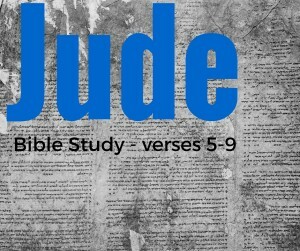 disputing about the body of Moses…... The archangel Michael had to fight with Satan to do God’s bidding and secretly burry the body of moses Deut 34:5-6, preventing Satan to use the body for some diabolical purposes, idol worship, or an object of worship for Israel. This account was recorded in the pseudepigraphical assumption of Moses.